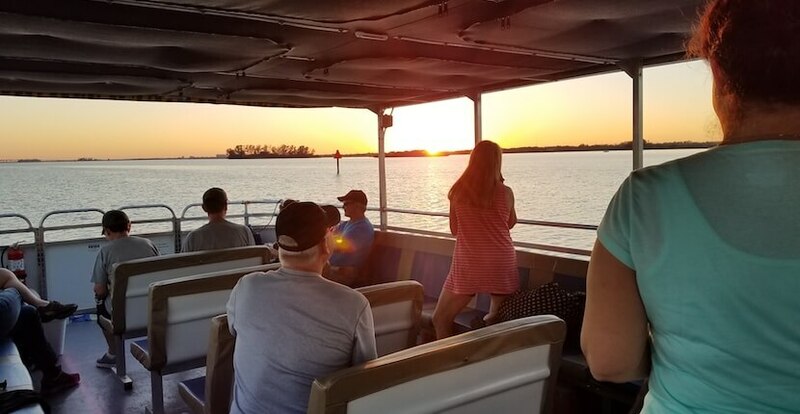 Experience the Caloosahatchee River on a Master Naturalist narrated sunset, eco-river, or seasonal manatee tour aboard the M/V River Queen, a 42 passenger 40’ covered pontoon boat. The M/V River Queen is also handicap accessible, smooth riding, and dog-friendly. 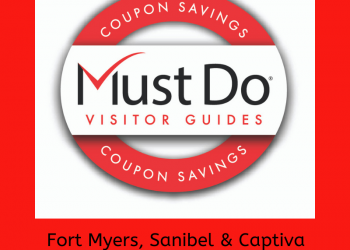 See a magnificent Fort Myers sunset, a manatee in the wild*, tropical plants, birds, alligators, fish, and other Florida wildlife. 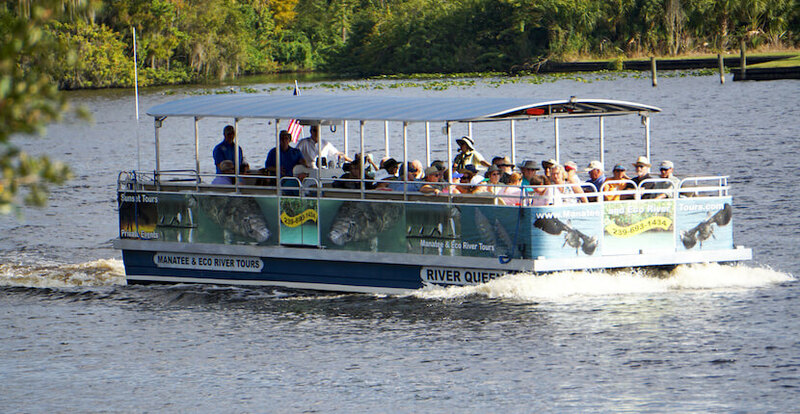 Read Manatee & Eco River Tours featured blog article here! 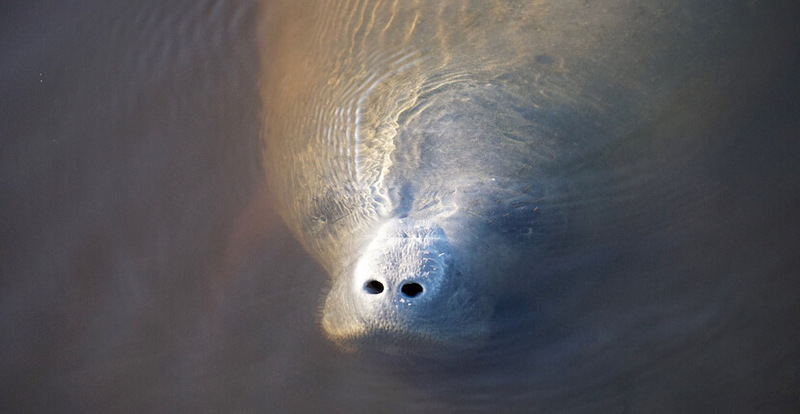 *Please note manatee sightings are seasonal and weather dependent with best opportunity to see a manatee in the wild during the months of December – March. This is a fascinating Master Naturalist narrated 2-hour river cruise where you’ll learn the history of the Caloosahatchee River, the uniqueness of the environment, and how the river has been modified and evolved over the past 100+ years. 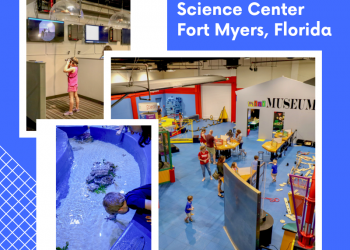 There is a possibility you will see alligators, fish, and a variety of birds including many species of egret, and raptors. Tours are offered March – November. 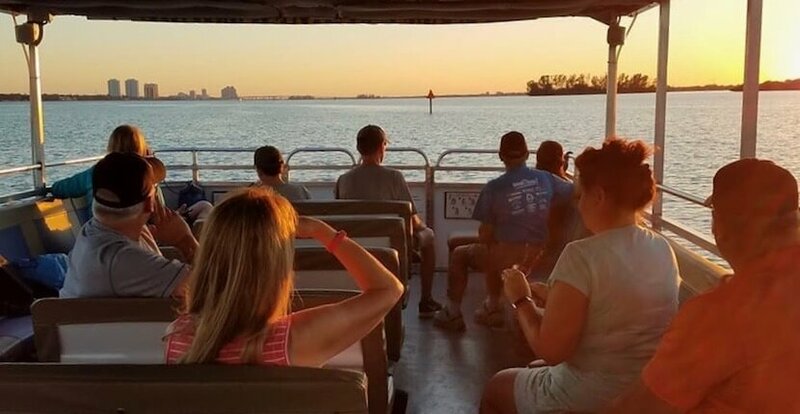 Enjoy a leisurely cruise along the Caloosahatchee River and see a spectacular Southwest Florida sunset, learn interesting information about the Caloosahatchee River, local wildlife, and the flora and fauna in the area. 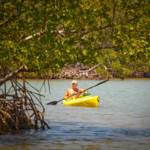 Master Naturalist led tour is relaxing, informative, and entertaining. Passengers are welcome to bring water or a beverage to drink. A light snack is provided. Sunset tours depart one hour prior to sunset. Reservations are required for all cruises and tours. 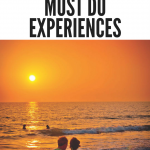 Visit website for tour schedule and availability. 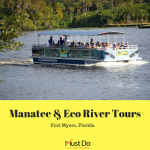 Manatee & Eco River Tours depart from Sweetwater Landing Marina in Fort Myers.